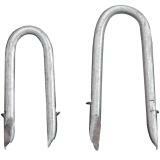 Barbed, 2"—Heavy duty Class III galvanized. Approximately 48 per lb. 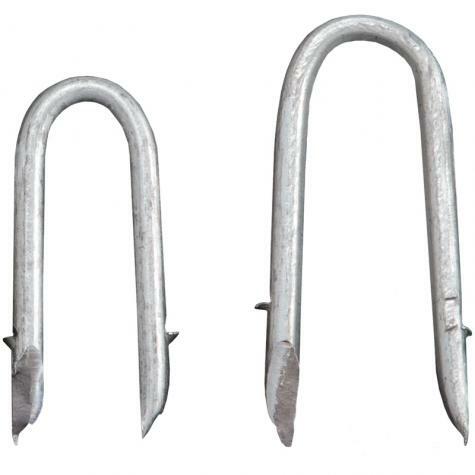 Barbed, 1.6"—Heavy duty Class III galvanized. Approximately 65 per lb. 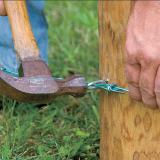 Place staple over the SupaTube and drive staple firmly into the post using a hammer. Staple should be snug against the SupaTube. 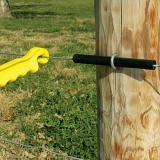 Place staple over the non-electrified high-tensile wire and drive staple into the post using a hammer. 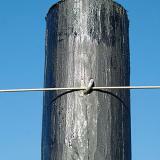 Staple should NOT be snug against the high-tensile wire. 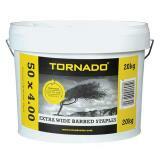 Excellent for insulating HT wire from trees and wood post. 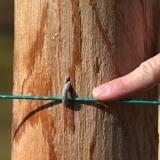 Hold in place with fence staples. Simply put - these babies hold. Quality thickness and holding power. 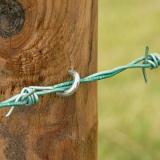 I would highly recommend if you want to do your fencing just once rather than re-do by using an inferior product. remain tight.Staples have never pulled out,nor has the SupaTube ever failed.